© BitDefender Coupon Codes 2016. All Rights Reserved. We were continually checking for a competitor to the BitDefender Internet Security 2016 and our search ended with the Kaspersky Internet Security 2016. It is the only security program that has similar features and performance with the BitDefender. Both these security tools are backed with almost the same features except a few. Let’s have a look on how they differ. 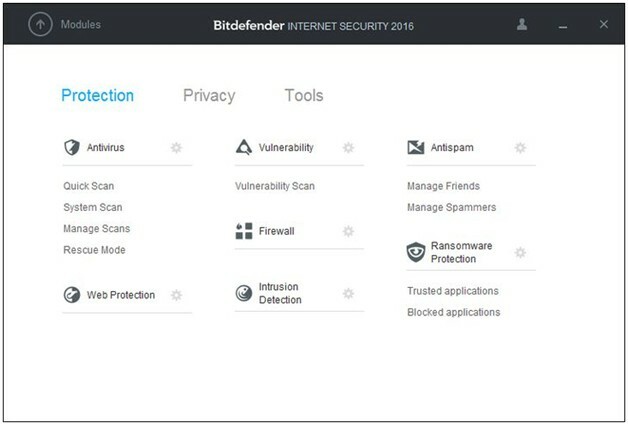 The quick vulnerability scanner of the BitDefender allows you to scan for threats in just one click. The autopilot mode of the BitDefender automatically removes the threats, without disturbing the activity of the user. In Kaspersky, the color of the status banner at the top changes from green to red or yellow, if there is an issue that needs your attention. BitDefender and Kaspersky have improved their firewall to ensure maximum security. The inclusion of stealth mode and the launch of firewall even before the suite boots are the remarkable changes Kaspersky has made in their firewall settings. While the BitDefender firewall can accurately and efficiently filter both the incoming and outgoing traffic, no matter what type of network you use. The Antispam feature of BitDefender is based on cloud technology and blocks the spam mails from reaching your inbox. In Kaspersky, the Antispam comes disabled and turning on this feature filters all the incoming IMAP and POP3 emails, marking it spam or not. This improved feature works excellently in integration with Microsoft Outlook, which allows auto-filling of spam emails in a single folder. You need not worry if you are using a different email client, as it is very simple to outline a message rule to send the mails to a desired destination. All advanced security tools come with parental control and here both BitDefender and Kaspersky is incorporated with novel parental control. Both are excellent in blocking inappropriate contents from reaching your child and monitors the activity of your child when he is browsing. Both of them restricts the use of social network for a long period. In BitDefender, you can restrict the use of internet between certain hours and notifies if he tries to avoid the limitations. Moreover, if the child somehow manages to enter the restricted area, you will be notified via an Android app. With Kaspersky, you can give a break to the internet usage in addition to the gap on the overall usage of the PC. The weekly internet usage schedule highlighting the on the daily usage of the same PC is a notable feature. Online Shopping is very common nowadays and both the Kaspersky and BitDefender have incorporated tools to protect their valuable users from all types of online frauds. A dedicated and protected web browser is installed to ensure that all the online transactions are safe and warns the users against all potential threats. BitDefender Safepay™ remembers all your credit card details and fills in the form when you make a transaction.